A fun, educational toy that can either be used stand alone (‘play alone’ mode) or in combination with a wireless console and Smartridges to connect to a tv. The wireless console and the Smartridges are. Vtech Baby Toot-toot animals Safari Park zoo - missing rhino. Rhino and other Smartpoint animals can be purchased separately on Ebay. Sent with Australia Post Pre-Paid Parcel Post Satchel 3kg. Box slightly damaged. Baby Toddler Toy Bundle - Great value! Requires batteries. V.Smile Joystick ages 3-7. TV Learning System. Strong, sturdy construction. Switches from right to left-handed play. Includes 1 x VTech Monkey Band Music Centre. Spin Monkey to hear guitar sounds and listen to two uplifting sing-along songs. VTech Peek and Play Phone [VT502703]. Hello, who’s calling?. The Peek & Play Phone is a fun and exciting way for little ones to use their imaginations and encourages pretend play. VTech PJ Masks Super Learning Headquarters. A motorised train provided. 7 smart points for recognition play. Type Baby Toys. a turning disc and a flipping gate for imagination play. Product Type Activity Toys. Model Number 171703. Number of Batteries 3. 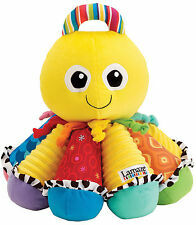 Your toddler will love to shake, roll and learn with this musical soft ball! Teaches animals, numbers & gross motor skills. Suitable for 6 to 36 months. Requires 2 x AAA batteries. VTech Tiny Touch Remote [VT50303]. 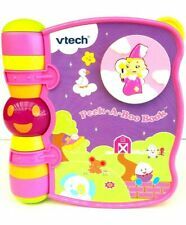 VTech Splash & Sing Bath Book. VTech Caterpillar Xylophone. VTech Toot-Toot Drivers Press & Go Value…. VTech Myla the Magical Make-Up Unicorn. The Tiny Touch remote is suitable for tiny hands. NEW Vtech Baby Peek & Play Phone Fun role-play phone introduces numbers. Vtech Baby Peek & Play Phone. Hello - who's calling?. The Peek & Play Phone is a fun and exciting way for little ones to use their imaginations and encourages pretend play. Fun role-play phone introduces numbers. Vtech Singing Alfie includes This pup is made of different textures that encourage touching. Requires 2 x AAA batteries (included). Automatic shut-off. Explore and learn on every side! Light-up buttons introduce animals, animals sounds and shapes. The cube also features lots of sliding and spinning manipulative features to encourage interaction and a motion sensor that triggers fun sound effects. Vtech toys. Through imitative play this cute book will encourage baby's first words with a simple story and promote early reading with the familiar book format. The book features 5 beautifully illustrated, easy to clean pages each with lots of different fun responses and realistic fire engine sound effects when the light-up button is pressed! Vtech Baby Rattle and Roll Musical Racer Car racing has never been more exciting than with the Rattle and Roll Racer! A cute interactive racing driver doubles up as a rattle and, when you shake him, the car races forwards and backwards! The car speaks to baby with lots of fun phrases and sounds, such as accelerating and braking. It also has flashing lights and sing-along songs to engage baby. Ages: 6 - 36 months. Requires: 3x AA batteries Teaches: gross motor skills, hand/eye coordination, first words, cause and effect. In great condition! There are five sides of fun to be had with the VTech Discovery Cube. Vtech Singing Puppy includes This pup is made of different textures that encourage touching. Colour: Pink. Requires 2 x AAA batteries (included). Includes two modes of play. Features slide and push manipulative buttons to encourage manual dexterity and discovery. 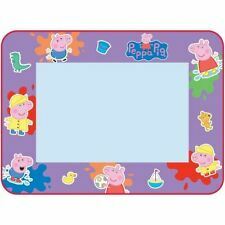 Durable plastic pages are wipe clean and non-rip so baby can play again and again. Help soothe baby’s sore gums with the Little Friendlies Happy Hippo Teether! This hippo teether is soft and comforting, the perfect little friend for baby during teething. The two textured teethers are excellent at soothing baby’s sore gums. Wobble and Learn with Cody the Smart Cub! Gently push Cody to see him wobble! Spin the roller ball to hear Cody teach numbers through rhyming phrases and learn about the drum and the maracas and hear their sounds. VERY GOOD Condition see pics. This genuine Vtech toy is made to the highest quality standards of safety. Vtech Lullaby Sheep Cot Light plays lullabies and soothes your little ones to send them off to a quiet calm sleep. It has a built-in sound sensor and it responds automatically when the baby cries. 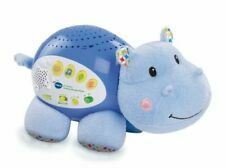 Relax and soothe your baby to sleep with the VTech Starlight Sounds Hippo. The Hippo projects 4 different colored lights with the option of 6 different light displays onto the ceiling whilst playing calming and soothing notes. The Vtech Toot Toot Drivers Mickey's Magical Wonderland is part of the Vtech Toot Toot Drivers range that with it's Smart Point technology interacts as children play. The Vtech Toot Toot Drivers Mickey's Magical Wonderland combines the fun of Mickey Mouse and Toot Toot Drivers in a great value set. Combine with other Vtech Toot Toot Drivers toys. Mickey Mouse in his Toot Toot Train. With a barnyard of playful friends to cheer them on, your little one will have endless fun as they learn to walk. Start out with the easy-to-remove activity panel for floor play or on-the-run fun, then step it up with the fun-to-maneuver walker. The Vtech Turn and Learn Cube is a sensational toy for children who are just starting to have fun with their hands and feet. The 6 sided cube has 5 sides filled with great fun sparkly, spinning, and textured pieces that spin and turn to entertain your child for hours on end. The Vtech Toot Toot Drivers Mickey's Happy House is part of the Vtech Toot Toot Drivers range that with it's Smart Point technology interacts as children play. The Vtech Toot Toot Drivers Mickey's Happy House combines the fun of Mickey Mouse and Toot Toot Drivers in a great value set. Vtech Peek & Play Turtle features a 2-in-1 soft and sensory Turtle. The toy turtle has a bright, soft and multicoloured shell designed with unique patterns to attract your little one. It also includes a mirror that encourages your child's self-discovery plus a textured teether for a fantastic sensory experience. The VTech Put & Take Dump Truck is a cool interactive dump truck with 3 rocks that kids can put into the truck to watch them tumble into the dump bed. VTech Put & Take Dump Truck is a fun interactive dump truck for little truck drivers. Featuring 5 sides of play to explore, two sides with electronic functions. 4 light-up buttons introduce animals, animal’s sounds and shapes. The cube also features lots of sliding and spinning manipulative features to encourage interaction and a motion sensor that triggers fun sound effects. Pegboard Size: 27.2cm x 19cm/10.71" x 7.48" (Approx.). Plug the mushroom peg to the blank board and create different pictures as your imagination. This peg board has no box and basket. 1 x Peg Board. Light And Flight Discovery Globe - VTech Free Shipping! Explore and discover the world with this brightly coloured, light up, interactive globe featuring 37 easy to use, touch sensitive hotspots. Fly the interactive aeroplane to discover all about famous places, countries, peoples of the world, animals, continents, oceans, foreign languages, music and more through 5 modes of play. 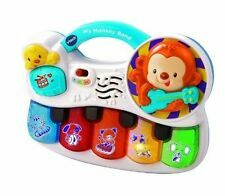 V Tech Interactive Electronic TOP for Baby & Toddler with music, lights, and sounds! instead of “Buy It Now”. When you have completed your. Character Family crawl ball. great choice of singing, shapes, counting and colored lights. V Tech Interactive Electronic HAPPY LIGHTS BEAR for Baby & Toddler with music, lights, and sounds! Bulk Fisher Price, Vtech Baby Toys. All in working Condition, except fire truck missing a ball and fisher price cookie jar missing a star shape. Check out my other items for sales. 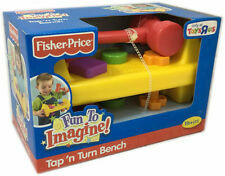 Includes a variety of manipulative features to develop fine motor skills. 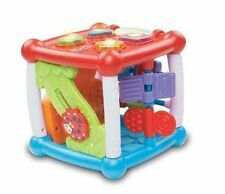 Fun play cube features five sides of play - two sides with electronic function. Vtech Baby Link & Play Monkey. Shake the Monkey To hear fun phrases and sounds. Age: Birth . Develop Fine Motor Skills By twisting the Monekys head. Attach the Monley to Cots, pushchairs and more. VTech Peek and Play Phone [VT502703]. VTech Kidizoom Smart Watch DX2 Blue. VTech Tiny Touch Tablet. VTech Kidizoom Smart Watch DX2 Camouflage. Hello, who’s calling?. The Peek & Play Phone is a fun and exciting way for little ones to use their imaginations and encourages pretend play.